It’s difficult for me to remember the exact moment when rap music in my childhood home became less taboo. I like to tell myself it was after my mother died, when I was 13, because that is when I most remember pulling the headphone jack out of the old stereo we kept in our house and letting the speakers flood rap music into the basement or the living room. When she was alive, my mother didn’t approve of us listening to rap in the house. I imagine both she and my father always knew that their children were sneaking cassette tapes into the house, or sitting on a school bus with a friend’s headphones, taking in long drinks of the lyrics they urged us to avoid. But in the home, there was an understanding. In the home, my mother would play Miriam Makeba, Celia Cruz, and Whitney Houston. This was the soundtrack I first remember falling in love with, and then my mother was gone. She died in the summer of 1997, the first summer after both Tupac and Biggie got into cars and were met with bullets. The summer of black mothers with lost black children, the summer of lost black children searching their faces for any trace of their dead mothers’ lineage. But it was also the summer of shiny suits, rap blending onto Ohio radio in a way that it hadn’t before. I turned up rap music louder, more comfortably than I had before. Rap music was a dirge, dragging me through a slow, sad summer. A final gift that my mother allowed upon her exit. The freedom to fall in love with what was once forbidden. As it is now, or maybe as it has always been, so much of black motherhood is presented to us as something that is only defined by arrivals and exits. Whom you have carried into the world, and whom you have buried. I think of the mothers of dead black children often, and I imagine it a small piece of fortune that I sat tense and cloaked in sadness at my mother’s funeral before she had to do this for any of her children. I have seen what this has done to the overarching narrative of black motherhood in America, making it a lineage of public grief, or discussions about grief, or the anxiety around inevitable grief. I think, then, of my mother’s laugh. How it was one of those laughs that begins in someone’s legs and silently trembles upward until it forces the body backward, pushing a loud, joyous cacophony into the sky. I want, more than anything else, to have bottled that. To be able to open it in the moments where I forget that black motherhood is about more than death, more than being left and leaving behind. 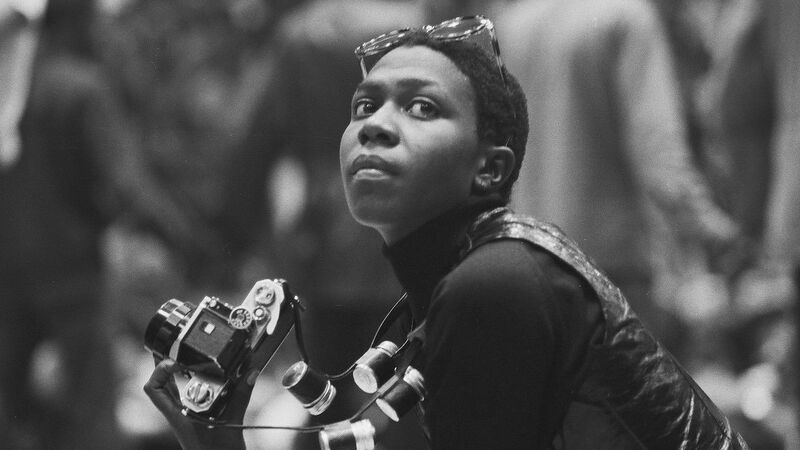 Afeni Shakur, who died this week, defended herself 45 years ago in the trial of the Panther 21, against the wishes of her peers, while pregnant with her son Tupac. The case stemmed from 1969, when she and a group of her fellow Black Panthers were arraigned on over 156 charges associated with conspiring to destroy New York stores and police stations. In June of 1971, after a successful defense led to an acquittal, Afeni Shakur gave birth. Parents’ legacies are often so tethered to those whom they bring into the world, more so if you bring someone into the world who becomes a legend before exiting too soon. I mention this trial that came before the birth of her son because Afeni Shakur lived a magnificent life in which she knew only of a desire to fight, for herself and others, both before and after her son’s death. So much of who she was has, predictably, been consumed by her struggles — from the Panther 21 trial, to drug addiction and recovery, to the death of her son, which hung over her for decades. Few things are easier to lean into than the idea that blackness is a rotating wheel of struggle, until your time comes and you finally get off. I did not know Afeni Shakur, and yet I have to believe that for the life she led, she was more than her struggle, as my mother was more than hers. I have to know that Afeni Shakur’s life was defined by more than the loss of her son, as I have to know that my life is defined by my mother’s loss. Rap is full of examples of mothers passing the gift of music on to their sons — or if not the gift of rap music itself, the permission to love it and run into it with open arms. They stand in the background of large moments from every era. Voletta Wallace in the video of JUICY grinning while staring at a Source magazine with the Notorious B.I.G. on the cover. Gloria Carter on “December 4th” from The Black Album, narrating Jay Z’s journey from birth to superstar. Kanye West’s iconic performance of “Hey Mama” at the 2008 Grammy Awards, dressed in all black, a single light shining down on him. And, of course, Tupac’s “Dear Mama,” still rap’s greatest ode to the matriarch over 20 years after its recording. Here is a common thread in rap’s history, a genre scrutinized for its inability to see black women, operating in a world that has an inability to see black women. Tupac himself, convicted of sexual abuse, writing the aforementioned “Dear Mama” shortly before he served a prison term. We see this in all aspects of our culture, throughout generations: living manifestations of how, as men, having a mother to whom we would give the world doesn’t stop that same world from convincing us to turn our backs to women who are not our mothers. My favorite sad story about mothers and music that is not a story of my own is the story about Maureen Yancey, J Dilla’s mother. In the summer of 2005, J Dilla was bedridden in Cedars-Sinai Hospital in Los Angeles, where he spent some of his final days suffering from both lupus and a rare blood disorder called thrombotic thrombocytopenic purpura. Dilla moved his studio into his hospital room to work on what would be his final album, Donuts. The process of producing the album called for Dilla to sit up in bed and work with his hands, which were often swollen and ravaged by pain. The story may seem simple to some, especially to someone who has raised a child and watched them chase after anything they love: Maureen would sit by Dilla’s bedside and massage his hands until the pain left them long enough for him to work on the drum machines he used to craft the beats. Donuts, released three days before Dilla’s passing in 2006, is a classic album. It’s an album of instrumentals, an album with no language and yet an entire story. I have always loved this story because it speaks so clearly to how black motherhood sits in rap music and beyond. Where would I be without my mother’s hands? What would J Dilla have done without his mother’s hands, taking the pain from his own? Where would Tupac have been if not for Afeni Shakur, fighting for her life to avoid prison in 1971? It is not always as explicit as Dilla’s mother effectively coproducing his greatest work, or Tupac’s mother defending herself in a courtroom because she knew that no one else understood how high the stakes were for her. Yet I believe in the legacy of black mothers as more than just birth and burial. I say this as the Cleveland police union in my beloved Ohio issued a statement urging Samaria Rice and her family to use the city settlement of Tamir to educate youth on handling fake firearms. I say this as I search for a picture of Sybrina Fulton smiling on Google Images, and see a picture of George Zimmerman smiling in the second row of results. I say this even as Afeni Shakur outlived all of what could have killed her and left us anyway, somehow still too young. The truth is that my mother’s laugh, loud and unforgettable, is still rattling in the sky, all of these years later. I imagine there is a home there for all of these moments; the best parts of life shared by women who did not get a chance to be defined by them. I hope they are looking at them now, spread out along an endless table, hearing all of their children who are still here, trying to carry their names best.